I am teacher Anne. I graduated Bachelor of Arts in English. I have Supplemental Studies for Teaching. I have worked as a Call Center Representative for almost 9 years and was exposed in an Online Teaching for almost two years now. I choose to teach online because i have the passion in sharing my thoughts and learning to my students. It was a fulfillment to make a student learn at the same have fun in studying. I love watching movies, listening to music, reading books and writing blogs. I am happy and very optimistic person. I never stop learning because i believe in the saying "life's too short" so we must enjoy each day of our lives. Teacher Anne is a graduate of Bachelor of Arts in English. and has a Supplemental Study for Teaching. 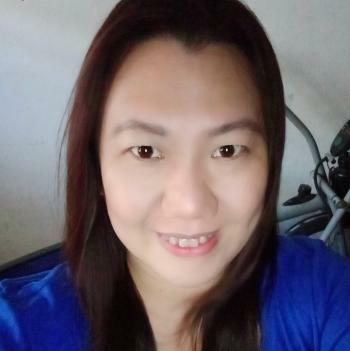 She has worked as a Call Center Representative for almost 9 years and was exposed in an Online Teaching for almost 2 years now. She chooses to teach online because she has the passion in sharing her thoughts and ideas to her students. It is her fulfillment to see her student reach their dreams at the same time having enjoyment in studying.. She loves watching movies, listening to music, reading books at the same time writing blogs. She is a happy and very optimistic person. She never stops learning because she believes in the saying that "life's too short" so she must enjoy life to the fullest. I enjoyed to talking,Thank you very much! I hope see you soon.